We’re on the countdown to New Zealand Babywearing Week (2-11 October 2015) and we are looking forward to celebrating with you. 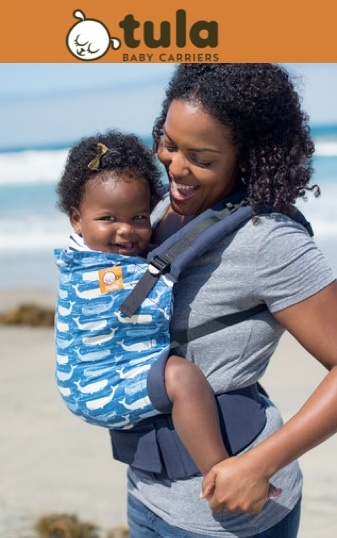 Our next giveaway is a Tula Baby Carrier – Little Blue (pictured below), courtesy of New Zealand Babywearing Week sponsor Nestling. can be used from birth with the use of the revolutionary Tula Infant Insert, and into toddlerhood with Tula Free to Grow Extenders. Like the Nestling facebook page and leave a comment to say hi and how you found thire page. Leave a comment under this post to let us know why you would like to win this Tula Baby Carrier. Good luck to all who enter! A winner will be drawn after 7pm on Sunday 20th September 2015. New Zealand Babywearing Week – the countdown is on . . . This entry was posted in Giveaways, New Zealand Babywearing Week, Soft-structured carriers and tagged international babywearing week, New Zealand Babywearing Week, NZ Babywearing Week, Tula baby carrier. Bookmark the permalink. This is my all time favourite Tula ever! I’ve always wanted one to carry one of my two girls (20 and 5 months old) but have never had the funds. This would be amazing! With number 5 on the way this would be much appreciated and we’ll loved in our house! Have yet to try a tula! Would love to win this for my wee niece or nephew, especially as the parents-to-be are both water and beach lovers, so this print is perfect! Thanks Nestling for the fabulous prize donation!! I would love to win this as I love tulas but hubby will never let me buy one! I would love to win this so I can loan it out for free along with the free nappy kits I send out to mums who can’t afford cloth nappies for newborns. Thank you!! I would love to win this for my friend for her baby! She is also a beach lover and would love this print! I would love to win this Tula for my partner, who loves to wear our daughter! Our current carrier isn’t very ergonomic but was all we could afford, so would very much appreciate this! I’d love to win this Tula. It’s gorgeous! Would love to win so I can gift it to my mother in law. She is a midwife that works largely with high risk families and infants(including a number with wobbly hips). This would be amazing for her to be able to loan out to aid eduction regarding the benifits of babywearing as well as assisting them in accssesing a suitable and safe carrier for the early days. Oh how fab to be able to wear bubs on my back while I do my chores, walk in the bush and wander on the beach. I would love to win this, as I have never tried a Tula, and this would be used lots in our family. I keep on looking up Tula’s online and dreaming. I would just love to have my own carrier..
I’m expecting our first and I can’t wait to keep our baby close and snug. I would love to win this Tula. My daughter is such a water baby. Love this design. Would love to win this Tula would be the perfect addition to my collection! Would love tywin a Tula to make carrying my 12kg 10 month old daughter easier on my back and arms. I have been dreaming about winning this since seeing the post! My husband hasn’t got the ring sling sorted yet, SSC suits him much better! I would loooooove to win for him! Would love to win this for my friend. She really deserves it.